Sharp lines, athletic sculpting and the striking curve of the ‘floating’ roof – the design of the Astra captures the dynamic potential within. Premium interior and distinctive wheels further enhance its overall appeal. Standard LED daytime running lights and unique Vauxhall ‘wing’ signature LED rear lights (optional) add style and visibility. The Astra is tailor-made to put you at ease. Its premium interior sets a new standard in the compact-car class. Your car’s contours catch the eye – but your wheels do the talking. Choose from 16”, 17˝ and 18˝ alloy wheels to give your Astra a powerful presence. Convenience means never having to look for your keys. Keyless entry and start recognises a key and unlocks your Vauxhall automatically when you get close to it. It also allows you to start and stop your vehicle at the push of a button. Vauxhall’s Inch-perfect parking is quicker with our hands-free advanced park assist and rear-view camera technologies. Heated front and even heated outer rear seats plus a heated steering wheel (standard on Elite and optional on selected trim levels) will keep you warm at all times. The Astra is the first Vauxhall model to be available from launch with our personal connectivity and service assistant, OnStar. OnStar offers many services, such as in-car access to an advisor 24/7 and 365 days a year and emergency assistance. You can also take advantage of a 4G in-car wi-fi hotspot, which can connect up to seven devices simultaneously. (Standard on SRi and Elite models, optional on the other trims). Making its debut in the Astra is the new-generation IntelliLink infotainment system, compatible with Apple CarPlay and Android Auto, and with a 7-inch colour touchscreen and Bluetooth connectivity as standard. Apple CarPlay puts key iPhone features on the vehicle’s display, allowing drivers to make calls, send and receive messages and listen to music, either from the touchscreen or by voice, via Siri. On Elite models the rear-seat passengers have two USB sockets all to themselves, ensuring your devices can be charged at all times. Astra transmissions will open your eyes. Choose between our 5-speed or 6-speed manual or automatic transmissions, or our 5-speed Easytronic 3.0®. - The 5- or 6-speed manual transmissions run super-smooth and offer outstanding precision. - The clutch-free Easytronic 3.0® will even let you enjoy a sporty ride with less than 100g CO2 emissions. - Choose our 6-speed automatic transmission for a convenient and highly efficient ride – especially together with our start/stop system. Just as impressive as the wide range of powertrain options in the Astra is its ability to control emissions, which start at just 88g/km of CO2‡. Astra’s 1.6CDTi start/stop ecoFLEX engine delivers an impressive combined fuel economy of up to 85.6mpg‡. Another highlight is our 1.0 Turbo start/stop engine with Easytronic transmission, with CO2 emissions of just 96g/km. 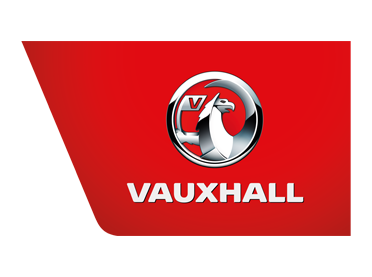 Visit Charles Hurst Vauxhall today, with a number of locations including Belfast, Portadown, Newtownabbey and Lisburn in Northern Ireland and find out more infrmation about the Vauxhall Astra and other models. Book a test drive today. View the latest Vauxhall Astra offers or contact your local Charles Hurst Vauxhall dealership about the Vauxhall Astra. Personal Contract Purchase (PCP) offer for Retail customers only. Not for Business Users. This promotion cannot be used together with other manufacturers promotions and is subject to availability. All details are correct at time of publication and are subject to change without notice. Offer may be varied, withdrawn or extended at any time. or (3) return the vehicle (a charge of 9p per mile +VAT for any excess mileage up to 4,999 miles and 14p per mile +VAT for excess mileage over 5,000 miles per annum in this example will apply) subject to it being in good condition. In the event that you choose to return your vehicle to us at the end of the agreement, there will be nothing further to pay (subject to your vehicle meeting our fair wear and tear standards, is within the agreed mileage and your account is up-to-date). If you choose option 1 or 2 at the end of the agreement, you'll need to pay the Optional Final Payment plus the option to purchase fee. Optional final payment and option to purchase fee not payable if you opt to return the vehicle at the end of the agreement (vehicle condition, excess mileage and other charges may be payable). Cash price is based on manufacturer’s recommended retail price and includes 3 year warranty, 12 months’ road fund licence, vehicle first registration fee, delivery, and VAT. Repayment balance is the amount of credit totalled with the total charge for credit. Representative example is based on a total mileage of 20,000 miles over the agreement. Charles Hurst Motors Limited are the advertisers and will act as introducing brokers on behalf of the lender who may pay us for introducing you.